I have a collection of picnic tables on my computer's hard drive. I've taken so many pictures of rustic old tables, all alone, usually surrounded by beautiful gardens and trees. How lucky I am that finally, after a ton of snapshots, I get one that doesn't look like such a ghost town (courtesy of good friends and a campsite at Portola Redwoods State Park). I think I'll change my strategy and start filling up those picnic tables with food, families, and lively conversations. But I'd better act quickly, in case Arnold moves forward with closing California's State Parks. Maybe he'll be swayed with the upcoming video of this camping bonanza? Done and done, I'll copy the State on my blog link once it's posted. See more great outdoor adventures online at Photo Friday! 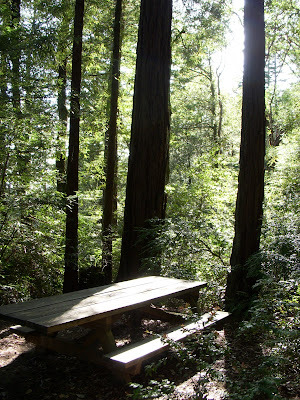 The thing about empty picnic tables is that there's always the promise of a good meal to come. Maybe that's just the optimist in me. Empty or not, picnics are the way to go in summer. Both versions are great and give a sense of the place. Hope you'll be able to continue enjoying your parks. We struggle with some of the same issues here in Michigan--some of our favorite summer attractions closed or in danger of closing or, sometimes at best, services curtailed. Several of our favorite summer fests have taken big hits this year from losing auto company sponsorships...and attraction hours have been reduced. I love these photos! They really compliment each other. I am also very worried about the future of the State Parks. I'm trying to keep people updated on my blog through a weekly feature called State Park Sunday. 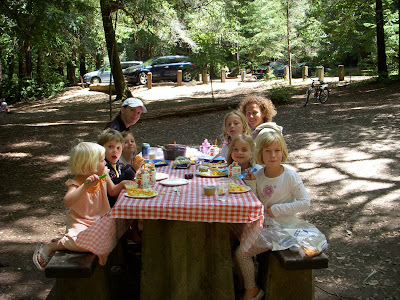 Visit www.familyadventureguidebooks.com for a new state park profile every Sunday. If you would like to do a guest post sometime. I would be much obliged. This is alot of work! Carolina - maybe we'll get lucky and score a cool picnic table this Thursday at the Marine Mammal Center! Dominique - sounds like we are in similar boats, and the economic times are affecting us all in various ways. All the more reason why travel in the great outdoors is so necessary - to keep us sane! 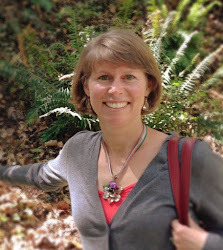 Bridget - happy to do a guest post on Portola Redwoods, I think it's fantastic for local Bay Area folks that may not know about it. Let me know when you need the help!